What Type of Bullying are You Experiencing? This ebook has become essential reading for anyone who is being bullied at work or managers who want to understand the real damage workplace bullies cause to morale, productivity and the bottom line. and Much More... Download it Today! Do You Know the Signs of Workplace Bullying? Are you suddenly being excluded from meetings? 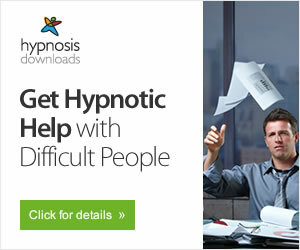 Having resources you need to do your job controlled by someone who seems determined to see you fail? Unusual changes in workload (way too much or none at all)? Nobody wants to say hello to you or sit with you at lunch because they seem afraid to be associated with you because they don't want to be next on the bully's 'hit list'? Are you an excellent worker who's always gotten great performance reviews but suddenly nothing you do is right? Fired from job because of workplace bullying? Getting fired after workplace bullying may be a blessing in disguise. Depression medication may seem like a good idea if you are depressed due to workplace bullying, but is it really? Sexual harassment in the workplace is all too common and is one of the more destructive forms of bullying at work. Harassment at work can take many forms, from demanding bosses to unfair work policies to unwanted sexual advances. Hypervigilance is a real, misunderstood effect of an ongoing traumatic experience, like workplace bullying, often misdiagnosed as paranoia. Complex PTSD is an often missed effect of prolonged traumatic experience like sexual abuse or workplace bullying. High school bullying is a real problem, but it is generally one of the most misunderstood types of bullying. How much would teenage suicide prevention improve by reducing both bullying and the effect of bullying on targets? Internet trolls have become a major issue with the advent of social media and can cause serious emotional trauma. Stress management strategies can be a matter of life and death due to the effects of stress caused by workplace bullying. Stress management in the workplace is an important issue, as work stress affects more than 65% of working adults. Nutritionists and doctors recognize a stress vitamin connection and the role vitamins play in stress management. Types of bullying can include both the place that the bullying occurs and the actual form the bullying takes. Is Your Child A Target of School Bullying? Is Your Child Being Targeted For Daily Abuse? Providing Information, Resources and Tools to Help Schools, Businesses and Individuals Deal with Workplace and School Bullying — Effectively. If you or a loved one is the Target of Bullying we have a lot of information to help you deal with School Bullying and Workplace Bullying as well as resources related to Panic Attacks, Stress Management, Depression Treatment and Health & Wellness. 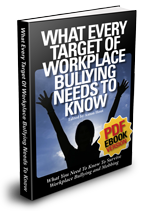 You can Share Your Workplace Bullying Stories Here. Help and be helped. Be sure to Bookmark This Page and Subscribe to Our Free Newsletter Here so we can keep in touch. Thanks for visiting. I hope you enjoy the site.